With more clients requiring accurate surveys getting organised in the field becomes key. Sites of say 10 to 30ha may require 5 ground control points to be surveyed in. Larger sites or where there are distinct elevation changes may require more. Simple white cross hair style GCP's are used made from polycarbonate sheet. They are light and easy to carry and usually held down with pegs. The GCP's are then surveyed in and we hire the equipment as required from GNSS Solutions who are based in Hull. 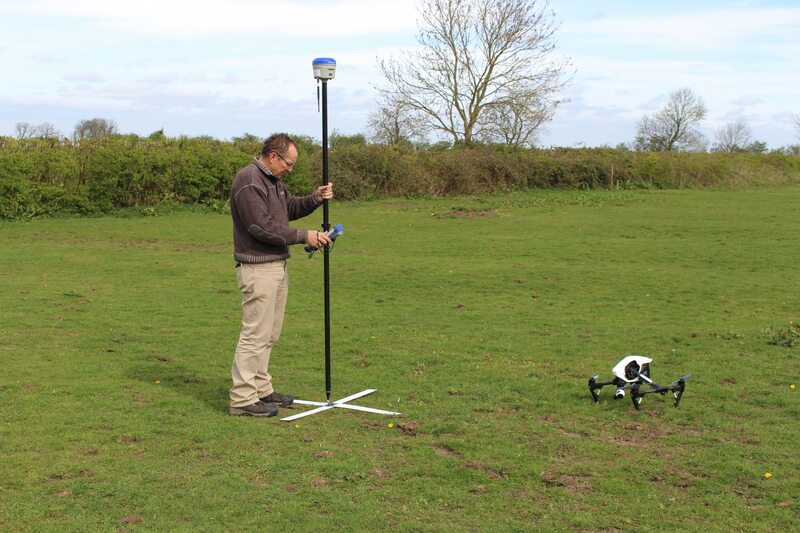 For this survey two flights were undertaken as well as capturing oblique imagery and video.